Enjoy your stay with Panoramic Views of the mountains and lake, situated so close to the town, but nestled in a sunny private section. 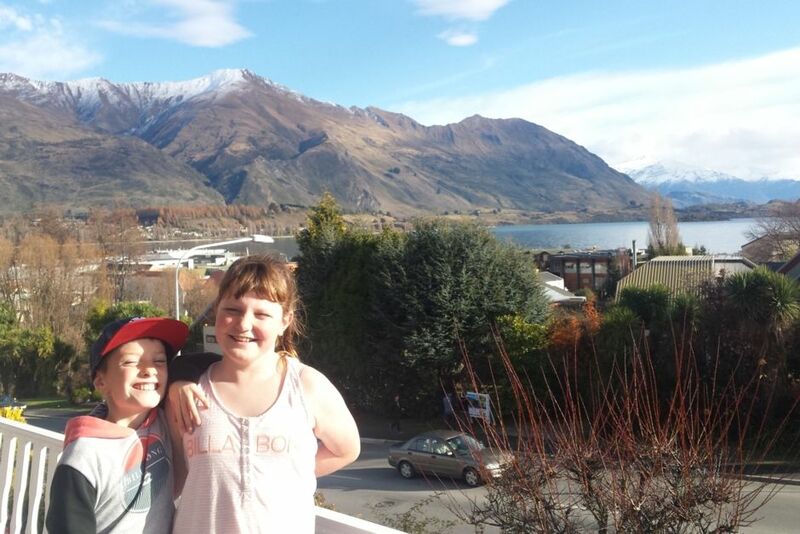 With so many attractions at your fingertips in Wanaka - Skiing, Jet Boating, Clip and Climb, Beautiful Lake Walking and Bike Tracks, Puzzle World, Wanaka Toy and Transport Museum, Pony Treks - you decide whether you want to enjoy these attractions or just spend time soaking up the views and relaxing in the large living areas. There is plenty of room for the whole family to spread out. And it's easy to find a sunny nook to curl up with a good book or play a game of pool downstairs in the games room. We love staying here and know you will too! Deck not suitable for small children, internal stairwell inside and Yunca fire place has no fire guard surround. Great place - fantastic location. Wendy was really easy to deal with, will definitely be back. many thanks. The property is ideally situated in Wanaka. Close to lake and yummy flood carts. Plenty of room/s and beautiful views. Would definitely stay again. Owners were great to deal with. For us the property and location were unfaultable. The house is old but clean and well kept and the location is excellent for walking into town etc. Great views. Gorgeous old touches like the old vinyl record player!